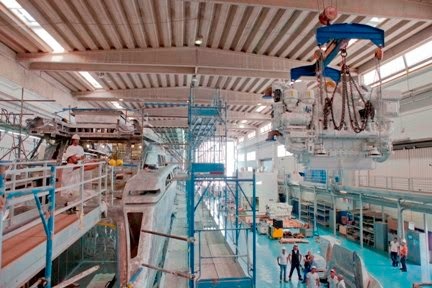 With the purpose of widening the oversight on the strategic international markets, Benetti, part of the Azimut Benetti group, is carrying out some important organizational changes that affect the commercial and after sales area; the aim is to strengthen relationships with the network of brokers and, above all, to enhance customer service as well as lifetime customer care processes. As from september 1st, 2013, Fabrizio Scerch is in charge as country manager americas in azimut benetti usa inc., with the task of managing processes as a whole: sales, marketing and customer satisfaction. Tommaso Bilotta, in his role as area manager americas, will retain responsibility for the coordination of sales activities for the americas as a whole, in order to further strengthen the presence on the market. The Benetti sales department remains in the hands of Alberto Perrone da Zara. At the same time, according with the new after sales global strategy introduced in early 2013 named "Benetti_lifetime customer care” , client's services processes will be strengthened too and even better structured in a new functional area composed by 23 professionals and now coordinated by Alessandro Gallifuoco in charge as quality and after sales manager. Ferretti Group America has opened its newest waterfront location in South Florida's premier yachting location, Miami Beach. You can't miss the newly renovated office located on the corner of 5th & Alton Road, the gateway to Miami Beach, just 20 minutes from Miami Int'l Airport & steps away from trendy shops, famous restaurants & the iconic South Beach. New inventory of Ferretti Group's wide range of yachts are continuously docked on site at the Miami Beach Marina. Currently on display is the 2013 Pershing 82' & 2013 Ferretti Yacht 80'. Visit us for an exclusive tour of these and other Ferretti Group yachts. Heesen Yachts is proud to announce that the revolutionary 65m Fast Displacement Galactica Star has been awarded the prestigious ‘Best of the Best’ accolade by Robb Report China. On 24th October, 2013 Robb Report China hosted the sixth ‘Best of the Best’ awards at the Westin Hotel in the city of Ningbo, Zhejiang Province. The revolutionary 65m Fast Displacement Galactica Star has now won her fourth international recognition in less than a month; after receiving the Prix du Design from HSH Prince Albert II of Monaco, the Nautilus award from Yacht Design Magazine and La Belle Classe from the Yacht Club de Monaco. The jury of ‘Best of the Best,’ Robb Report China is composed of four well-known representatives of the Chinese yachting and shipbuilding industry who are also fine yacht connoisseurs: Mr. Yang Xin Fa – Vice Secretary of CANSI (China Association of the National Shipbuilding Industry), Mr. Wang Chao Yong – President of China Equity International Holding Co. Ltd. and President of team China at the America’s Cup 2005, Mr. Feng Hui – President of Zhengxin Group and also a keen sailor. Mr. Zhong Yong – CEO of China Cup and also a keen sailor. The four judges expressed their preference for Galactica Star because of her revolutionary technology, the Fast Displacement Hull Form (FDHF) devised by Van Oossanen Naval Architects, which makes her 30 per cent more efficient than any traditional displacement vessel. The jury was also impressed by the beauty and elegance of the exterior lines by Frank Laupman, perfectly and harmoniously complemented by the luxurious interior design by Bannenberg and Rowell. Horizon Group is pleased to announce the appointment of the Powercat Company as a Preferred Partner for the popular PC series, which is currently comprised of the PC52 and PC60 models, in North and South America. Headquartered in South Florida, the Powercat Company is operated by Richard Ford and Stuart Hegerstrom and will act as the sales representative for the Horizon PC series in the Americas; the Powercat Company will also provide Horizon PC series clients service support in these areas. "The Powercat Company has extensive experience and invaluable knowledge on power catamarans, and we are confident that we will continue to see the success of the PC series under their representation," said Roger Sowerbutts of Horizon Yacht USA. By all accounts the activity at this year's Fort Lauderdale International Boat Show was top notch and we know first-hand that the Jarrett Bay and Bluewater Yacht Sales teams enjoyed great success. Blank Check and Ravaganza were one of the highlights of C Dock and salesman Howard Basnight closed on a new boat deal for custom hull #61 - a 46' express. Several other exciting prospects are in the works as a result of the Fort Lauderdale Show and we hope to be able to share more news with you real soon! After three years of sailing in Europe, last October, the Mulder 73 Wheelhouse 'Gloria' arrived in her new sailing area in the United States. During the summer the 73-footer was prepared for sailing in the subtropical Florida at the Mulder Shipyard in Zoeterwoude. A bimini and a mosquito screen were placed and also the European electrical system was converted to an American system of 110 V / 60 Hz. Gloria left from Delfshaven (NL) to be transported to West Palm Beach USA by a yacht transport carrier. From there she sailed to Key West and Fort Meyers herself. The Mulder 73 Wheelhouse is the second Mulder yacht that is sailing in the USA. In July a Mulder 75 Wheelhouse was already delivered in the North East region of the USA. Princess is delighted to announce that the new V48 Open has been nominated for European Powerboat of the Year 2014 in the over 45ft category. The V48 Open, which made her international debut in September at the Festival de la Plaisance de Cannes, is the epitome of hardtop sports cruiser cool, with its spacious open cockpit topped by a vast electrically operated sunroof. Generous seating around a teak table and further seating forward, adjacent to the sculpted twin helm seats, create the perfect space to enjoy life on deck and at speed. Aft of the cockpit is a large sunbed positioned above the tender garage which can accommodate a 3.25m jet RIB. Below decks, the V48 Open provides flexible accommodation for up to 6 guests including a private lower saloon and luxurious full beam master cabin. Fitted with Volvo Penta's IPS engines, the ride quality is electric, the deep-V hull design delivering a taught high-performance feel at the helm with excellent sea keeping ability combined with a highly efficient cruising rate for longer passages. The 122’ Mythos is the first yacht by Riva completely built in light aluminum alloy, as well as the largest yacht in the world ever produced by the historical Italian brand. Riva's new flagship, whose construction is currently underway at CRN shipyards in Ancona, is an over 35 ton aluminum jewel that catches the eye with its 122 feet in length (37 meters) and its close to 25 feet beam (7,60 meters). The Riva Mythos will include an estimated 15,000 man hours for its painting, 10,000 man hours for carpentry work and 8,000 for electrical systems. These few but very meaningful figures bear witness to how the Riva brand, which became globally known due to its legendary wooden motor yachts, the symbols of the Dolce Vita and the icons of a truly unforgettable time is now marking a new milestone in its history. From mahogany to fiberglass, from fiberglass to aluminum, the Riva brand keeps evolving, in terms of both yacht sizes and applied technology, and can now boast one of the widest and diversified ranges at a worldwide level, featuring as many as 12 different models between 27 and 122 feet, including open, coupe, and flybridge yachts. Fresh from the 54th Fort Lauderdale International Boat Show in Florida, USA, which wrapped up on Monday of this week, Riviera secured buyers for eight of its luxury boats in the American market. Totalling US$9million, retail sales in the “yachting capital of the world” included Riviera’s 43 Open Flybridge, 445 SUV, the yet-to-be-released 50 Enclosed Flybridge and Belize 54 Motoryacht. This outstanding result for Australia’s favourite and most awarded luxury boat builder, signals an immediate acceptance of the latest models to be released in the Americas, which Riviera Chief Executive Officer, Wes Moxey, welcomes with open arms. The new models, which were launched and received with great enthusiasm at the Fort Lauderdale boat show were the new Riviera 565 SUV and new Belize 54 Motoryacht. Described as a “unique cross-over craft between a Flybridge and Sport Yacht”, the 565 SUV is the latest luxury cruiser born of more than 33 years of boat-building design, experience and global owner feedback. The spacious 565 SUV features a flexible accommodation plan with sleeping capacity for six to seven adults in three cabins with two bathrooms. Set to premier at the Miami International Boat Show in 2014, two of the new 50 Enclosed Flybridge have already sold off the plan at Fort Lauderdale International Boat Show, a very strong endorsement for the luxury pleasure craft brand. Created in-house using industry-leading Unigraphics 3D software, Riviera’s team of talented and passionate international designers and engineers have focused on absolute maximisation of space and aesthetics of this brand new Enclosed Flybridge design. The sleek lines of the Belize 54 Motoryacht, not only delivers style, with art deco influences and a bespoke finish, but real substance with resin-infused composite construction, double vinylester outer skin, watertight stepped collision bulkhead and independent foam-filled hull compartments. Featuring three cabins with two bathrooms, including a full beam master stateroom with ensuite and opening port lights on either side to provide cross-ventilation, the Belize 54 is available in either a Sedan or Daybridge model. Riviera chairman and owner Rodney Longhurst, is ecstatic about the recent international sales, with American buyers hailing from the Great Lakes to Florida, and attributes this success to Riviera’s hard-working, professional team and their commitment to detail. Mr Longhurst notes that being the largest island continent, surrounded by some of the world’s roughest seas and oceans, Riviera boats are designed to take the worst that Mother Nature can deliver. The New Year will see an increase in staffing levels at Riviera, in line with growing international and national demand for Riviera’s luxury boats, adding to the company’s impressive growing forward order bank. Approximately 100 Riviera owners attended the Saturday evening event to celebrate the arrival of two striking new models amidst a sea of fine food, entertainment and good company. Currently exporting 55 per cent of Riviera’s annual production of luxury boats, Mr Longhurst is both humbled and delighted by this historical resurgence in the Americas. 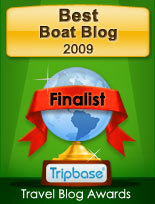 The best Americas boat show result in many years. Riviera owners will be popping champagne corks around Australia as they join with fellow Riviera family members for a series of special Christmas festivities afloat. With less than six weeks until Christmas, Riviera is decorating the bows with tinsel and baubles to celebrate the arrival of the Australian boating season with Christmas Parties held from Perth to Pittwater to the Pin, all being hosted by Riviera’s R Marine network. Riviera’s Bling on Summer Christmas Party will be held at The Basin, Pittwater and the Royal Motor Yacht Club, Broken Bay for Sydney owners, while across the country in Western Australia, R Marine Perth will host a Christmas Raft Up in front of Perth City on the eastern side of the Narrows Bridge to celebrate the festive season, and R Marine Mandurah will host their Cocktails on the Coast Christmas Party at their Mandurah dealership in December and a special Australia Day celebration in the New Year. In Queensland, R Marine Jones will host their annual Christmas Party with buffet lunch at Jumpin Pin on the Broadwater and R Marine Crawley will host their Sunset on the Dock Christmas Party at their Runaway Bay dealership. R Marine South Australia will host two fun-filled family events leading into Christmas, the Cruising Yacht Club of South Australia Boating Showcase on November 29 where they will launch the new Riviera 565 SUV and their annual ‘Cockling Day’ on December 8. Riviera’s director of brand and communications Stephen Milne said these festive celebrations embodied the unique qualities of owning a Riviera luxury cruiser. Riviera owners in Sydney are invited to enjoy every facet of the Riviera family’s lifestyle as they celebrate Riviera’s Bling on Summer Christmas Party at one of Sydney’s boating jewels, The Basin, located on the western foreshore of Pittwater on the northern beaches. Held from November 29 to 30, Riviera will host a Christmas celebration with real sparkle for all Sydney owners in the pristine and protected waters of The Basin. Guests travelling from Sydney Harbour or further south are invited to join an escorted Riviera convoy departing Watsons Bay at 3pm on Friday, November 29 and arriving at The Basin at 5pm where they can pick up a mooring or drop anchor and raft-up with friends for a few sundowners while appreciating the sheer brilliance of Mother Nature. Riviera’s director of brand and communications Stephen Milne said the Christmas celebration would begin with a visit from Santa and a few special Riv gifts from Santa’s sack. Children are very welcome to all events and Riviera owners are encouraged to book early for this fun-filled family weekend, as a strictly limited number of berths and tickets are available for this event, so online registration is essential. Tickets are selling quickly so we urge people to book as soon as possible to avoid missing out. In the event of inclement weather or conflicting events, owners are welcome to drive to the Royal Mother Yacht Club Broken Bay for the Saturday evening events. Australia’s favourite and most awarded luxury boat builder is proud to open its newest Riviera and Belize dealership today on Sydney’s Pittwater. Long-serving Riviera dealer principal, Lee Dillon of R Marine LDM based at The Quays at Church Point, has handed over the helm to internationally experienced senior executive, Mark Riley, who has earned a solid reputation in the large luxury powerboat industry and among boat owners in Sydney for his service and commitment to total customer care. Mark brings with him a wealth of international knowledge and experience working with luxury brands such as Levi Strauss, Sheridan and other high-end global products across Asia, America, Europe and Australia. He has spent a lifetime around boats. His passion for boating began as a young boy growing up in Taree on the north coast of NSW and as he matured he gravitated towards larger motor yachts, and has established a strong and respected network within the marine industry. Marks marine knowledge and experience extends to his community commitments, which include surf patrol and rescue boat captain, member of the Sydney Amateur Sailing Club, and sailing coach and instructor. His other interests include triathlons, sailing, surfing and international travel. Mark said opening R Marine Riley at Pittwater today was a dream come true. Riviera CEO Wes Moxey thanked Lee Dillon on his dedication and support of the Riviera and Belize brands over the past 30 years and welcomed Mark Riley to the Riviera Australia team. Sanlorenzo, the Italian shipyard that has been building made to measure motoryachts for over 50 years, strengthens its presence in Europe by opening two new Brand Representative offices: Sanlorenzo Spain and Sanlorenzo UK. The new reference points for the Spanish and English owners will be based in two lively locations of the international yachting: the Costa del Sol region and the City area in London. Sanlorenzo Spain will open in Puerto Banus, one of the most luxurious tourist destination of the Costa del Sol coastline, and it will be managed by Francis J. Holbourne. Sanlorenzo UK will be located in London, in the central City area, the core of global finance. It will be managed by Alan Gulliver. 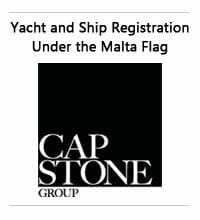 The Sanlorenzo sales network keeps on growing in the European territory as well, thanks to the establishment of direct offices, embassies of the brand that has become more and more an icon of the made-to-measure yachting scene. This strategy, together with a limited production of only a few unique pieces per year, has allowed Sanlorenzo to maintain its turnover, its number of units and the overall lengths of its products even through the difficult years of recession, succeeding in keeping the third position in the world top 20 builders ranking for over 24-meter motoryachts builders. Strongly involved into charity activity for many years, Sunreef Yachts has recently granted support to MONAA – Monaco Against Autism Association, raising funds in support of research and training for the structures struggling against autism and aiming to change the way that the general public perceives autism. The fund raising MONAA gala dinner, under the High Patronage of H.S.H. Prince Albert II of Monaco and under the Honorary Presidency of H.S.H Princess Charlène, took place on 15th November 2013 at the Salle des Etoiles, Sporting Monte – Carlo. Mrs. Dragica Nikolic, Serbia’s First Lady, Madame Marta Linares De Martinelli, Panama’s First Lady, Mrs. Carol Hanney, Deputy Prime Minister’s of the Republic of Ireland wife, Mr. Lech Walesa, Former Polish President and Nobel Peace Prize winner honored the evening with their presence. Among 500 distinguished attendees were also Francis Lapp, Sunreef Yachts’ CEO, with wife and Mr Wojciech Jankowski, the Consul General of Poland in Monaco, not to mention many personalities from the world of fashion, arts and sports. During the auction and lottery of various prestigious prizes which followed the dinner – including weekly charter on the luxury catamaran 70 Sunreef Power Damrak II in Thailand and Malaysia led by Sotheby's - the amount of 229.500 Euro was raised. With 11 years of intense work and consequent presentation of the new yacht models and concepts at the most prestigious boat shows and events of the world, Sunreef Yachts is spreading its wings on a global scale and now fully caters luxury catamaran enthusiasts in Mexico and Central America. The first 60 Sunreef Power has finally set anchor in Mexico, delivered to her proud Mexican owners last April. After her US Premiere at the Fort Lauderdale International Boat Show this month, the 60 Sunreef Power was available for viewing and sea trials in Isla de las Mujeres, Cancun, Mexico. A glamorous cocktail reception was held aboard and at the Hotel Villa Rolandi. The Guest of Honor at this exclusive event was the legendary leader of the Solidarity movement, Former Polish President and the Nobel Peace Prize – Mr. Lech Wałesa, as well as the Ambassador to Poland in Mexico – Mrs. Anna Niewiadomska, the Consul General of Poland in Cancun - Mr. Luis Miguel Cámara Patrón and the Mayor of Isla Mujeres – Mr. Agapito Magaña Sanchez. Headquartered in Gdansk, Poland and with Sales Offices in Fort Lauderdale, U.S. and Shanghai, China, Sunreef Yachts continues its global expansion with opening a new sales office in Dubai, United Arabic Emirates. The shipyard is now strongly exploring the Middle Eastern market by taking part in important events in the region as well as displaying its yachts in the prestigious marinas. This intense expansion is strongly supported by the Embassies of Poland in the countries of the Persian Gulf. The 3-month presence of the 70 Sunreef Power DAMRAK II in the Middle East this summer and a high interest of the local buyers community in this concept was certainly a trigger for the opening of the new local office.. This exclusive power catamaran was officially presented at the region’s most exclusive marinas: Emirates Palace Marina Abu Dhabi, Pearl Qatar Marina in Doha, Dubai International Club Marina. She was also displayed in Oman and Bahrain before she crossed Arabian Sea and Bay of Bengal to reach Phuket in Thailand, her new charter base where she will host luxury charters around Thailand and Malaysia with Sunreef Yachts Charter. 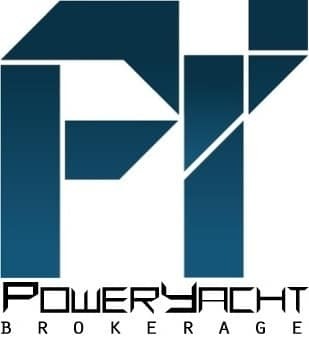 Consequently, Sunreef Yachts is taking part in the most important Middle East boat shows, disclosing further details of its new power super yachts revolutionary projects: 90 Sunreef Power and 210 Power Trimaran. Last week, the shipyard was attending the first edition of the Qatar International Boat Show 2013 held in Doha at Lusail Marina. Its presence at the Dubai International Boat Show 2014, to be held in March next year, has just been confirmed. Sunreef Yachts Middle East JLT office is located in Jumeirah Lakes Towers; DMCC Business Center, JLT, Office 3O-01-1420, floor 1, Building 3, Sheikh Zayed Road, Dubai, UAE. Last week Sunseeker distributors from across the globe converged in Cancun to attend the annual 2013 Sunseeker International Distributor conference. In addition to getting to know other distributors from across the world in the beautiful setting of Mexico, all distributors were invited to attend our special awards dinner to see if they had scooped an award in one of our 12 coveted categories. There was tough competition across the board, so we’d like to congratulate all those who won an award. The accolades of the night went to: Best Showroom - Sunseeker Spain, Ampuriabrava Office, Best Distributor Boat Show Stand – Sunseeker Australia, Best Use of Video – Sunseeker Asia, Best Individual Client Management – Torsten Sieckmann - Sunseeker Germany, Sales Growth by Unit – Sunseeker Spain, Sales Growth by Percentage – Jefferson Beach Yacht Sales, Best Use of Social Platforms – Harry Bristow, Jessica Smith – Sunseeker London, Best Service/Support/Technical Back-up – Sunseeker London Group, Best Customer Event – Sunseeker Russia, Overall Distributor of the Year – Sunseeker London Group, Special Distributor Award for Outstanding Client Retention – Nautikos Mexico, Special Distributor Award, Loyal Service to Sunseeker – Sunseeker Ibiza. VanDutch USA announced the opening of their new Center in Ft.Lauderdale on 2300 East Las Olas Boulevard. VanDutch Center Ft. Lauderdale is a first-class experience for clients buying a new product right in the place where they work and play. It is the first glimpse at how VanDutch Yachts will be sold in the USA, a precedent unrivaled in the industry. The 54th Fort Lauderdale International Boat Show ended on Monday, November 4th and by all accounts it was an exceptional representation of the state of the marine industry. We enjoyed meeting and chatting with Viking owners, families and friends, and hope you liked the Viking Yachts display. Here's a scorecard of what you missed if you couldn't attend: 5,131visitors, 3,600 bottles of chilled water, 303 Spirt Air flights to Fort Lauderdale to Atlantic City, 262 New Jersey to to Florida, 84 day sto the Viking VIP show at Riviera Beach, 82 largest yacht on display, 70 largest Sportfish sold, 43 total hours of the show, 42 smallest boat sold, 15 new Viking on display, 12 yachts sold during the show, 5 days of perfect South Florida weather, 2 pairs of shoes lost. April 1, 2014, marks the 50th Golden Anniversary of the Viking Yacht Company and to celebrate, Viking is blasting off with the Viking Key West Challenge fishing tournament! Viking first annual tournament is slated for April 2-5, 2014 in Key West and is open to all Viking owners. To makes this event unique, special and perfect for the family, Viking have structured the tournament rules around Fun! In fact the only two rules are to have fun and have more fun, and you can count on Viking to make sure you do! Viking is still tweaking a few details for its inaugural event, but no doubt about it, April is a spectacular time to fish the abundant waters surrounding Key West. Sailfish, marlin, tuna, mahi, kingfish, wahoo, grouper and tarpon are but a few species that can put your name at the top of the leader board. The atmosphere, vibe and sunsets in Key West are legendary and you won't want to miss what Viking has planned for its owners. Viking have arranged dockage at four Key West marinas. It will not be necessary to fish out of these marinas, but all of the celebratory parties and dinners will be hosted in the marina area. Viking is also making arrangements with Key West hotels in case you are unable to bring your boat, but still want to take in the excitement and dockside camaraderie and partake in our 50th year festivities. As a Viking owner and member of the family, you are a major part of the brands continued success and the company wants to spend a couple of days fishing together, celebrating a lifestyle, enjoying the superb Key West weather and most of all, reflecting on where we have been and where we are going! It was ladies night on the big stage during the 2013 Bisbee's Black and Blue Marlin Tournament in Mexico as Martha Macnab took Second Place. Martha and her team, fishing on the Viking 61 Retriever, landed a 535 pound blue marlin earning a nice payday. In addition to Second Place Overall, Martha's crew also earned Second Place Jackpot and Top Captain for Tony Araiza. The Berry family wore triumphant smiles at the recent Montego Bay Marlin Tournament in Jamaica. Fishing on the Viking 60 Safe Passage III, the crew worked their way to the top of the leaderboard on the final day of fishing with three fish released and one landed. The team made speedy transitions from the dock to fishing grounds enabling them to find fishy water and ultimately, take the Champions Trophy. 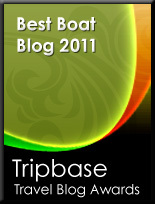 Safe Passage III angler Brain Pengelley received the Top Angler Award. Scandinavian boat builder Windy Boats has been shortlisted for the ‘2014 European Power Boat of the Year Awards’ for the 29 Coho, a stunning sports boat which combines classic good looks and a superbly versatile cockpit with a blistering top speed of 46 knots. The 29 Coho has been selected for ‘Best New Boat’ in the category up to 35 ft. The winner will be announced at the 2014 Düsseldorf Boat Show 18 – 26 January, 2014. One of the first Windy models to be built by the company’s new manufacturing partner in Ostróda, Poland, the 29 Coho replaces the popular and long serving Windy 28 Ghibli. The rapier sharp deep-vee hull is designed by Hans-Jørgen Johnsen and features an extended hull and lengthened bathing platform, with a new cockpit layout that emphasises outdoor living and relaxation. Scandinavian boat builder Windy Scandinavia AB has announced the appointment of three new dealerships in Poland, the Czech Republic and the Ukraine, building on its growing presence and profile in Central and Eastern Europe. In Poland Windy is being represented by Sky Boat, which operates a brokerage and charter business from Gdynia on the Baltic coast. Skyboat’s appointment follows Windy’s manufacturing partnership with Model Art in Ostroda, Poland, where the company’s three smallest models – the 26 Kharma, the 29 Coho, and the award-winning 31 Zonda – are now produced. In the Czech Republic, where growing numbers of boat owners are drawn to the country’s inland waterways and the nearby cruising grounds of Croatia, Windy has an exclusive dealership with VT Yachts of Prague. Established in 2012 to offer full motor boat brokerage and charter services, VT Yachts is a division of Vega Tour, one of Europe’s leading coach tour operators. Windy is represented in the Ukraine by UA Marine Ltd, founded in 2004 and based in the port of Nikolayev. As the distributor for a large number of European and American yachting equipment suppliers, UA Marine has an extensive network of customers in the Ukraine and Russia. Reflecting increased economic confidence and market optimism, the company anticipates interest in Windy’s larger models, as well as the SR26 bespoke yacht tender.